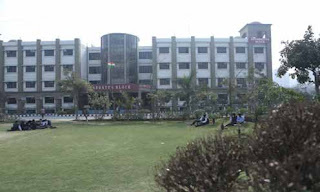 To cater the need of higher education in the state of Uttar Pradesh, Society of Educational excellence (SEE) founded Academy of Business & Engineering Sciences (ABES) in the year 2000. The college has completed eleven years of academic excellence and has produced illustrious personalities who have contributed in the success and development of the state as well as the nation. ABES Engineering College was initiated with the sole aim of delivering high standard qualitative education to the aspirants so as to transform them into qualified and dynamic professionals. The college offers All India Council for Technical Education (AICTE), New Delhi, approved bachelor and master degree courses under the affiliation of Gautam Buddha Technical University. The college boasts of modern infrastructure spread across state-of-the-art campus amidst serene and aesthetically developed locality on the outskirts of Ghaziabad district. M Tech: Those who have pursued B Tech programme in relevant stream of engineering from a recognized University / College are eligible to apply. Aspirants must appear in GBTU-UPSEE. MBA / MCA: Those who have graduated in any stream from a recognized University / College are eligible to apply. Those seeking admission in MCA, must attain Bachelor’s degree in Mathematics stream or should have studied mathematics as one of the subjects at UG / 10+2 level. Aspirants must appear in GBTU-UPSEE.